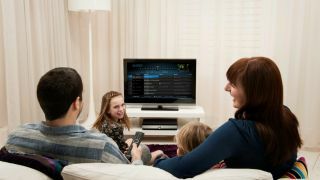 A new study commissioned by YouView has shown that on-demand TV now accounts for a fifth of British TV viewing. Each household records about ten programmes a week, however on average four go deleted unwatched. Poor effort, guys. On top of that, the results showed that an average home hosts four devices for TV watching, double the amount of that four years ago. Almost three fifths of those questioned said they use their computer to watch TV, while a quarter view on a tablet. The iPad and iPad mini were the favourite tablet at 19 per cent vs 6 per cent for Android models. The rise in TV viewing is mainly down to an increase in the number of devices that can access TV as well as a general increase in viewership, with a quarter of all adults now watching more television than five years ago.